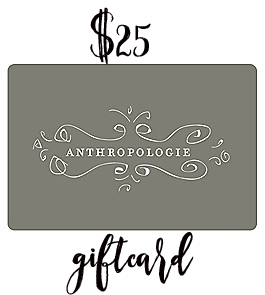 Win a $25 ANTHROPOLOGIE gift card from Anchors & Honey and over 30 more prizes from this amazing blogger giveaway hop! With the grand prize valued at $250! Come join the fun and enter for your chance to win some pretty cool prizes! 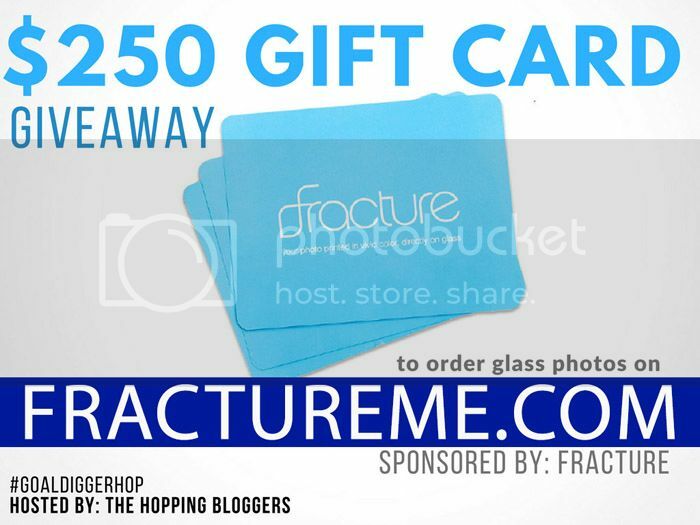 Grand Prize: $250 Gift Card to Create Your Own Glass Photos from Fracture About Fracture Me: Taking pictures is great. Printing pictures can be time consuming, overwhelming, and not all that fun. Fracture was founded around a simple idea: there should be a better way to print and display your photos. Fractures are different from traditional pictures and frames. Instead of printing on paper, we print directly on glass. Instead of separating the picture, frame, and mount, a Fracture combines all three into a beautiful, lasting, final product. Our process is simple: upload your photo, place your order, and in a few days you’ll receive your Fracture in our custom, environmentally-friendly packaging, ready to be mounted on your wall. We even include the screw. We make every Fracture by hand, in Gainesville, FL. We check every image for quality, and send them to you in our safe, environmentally-friendly packaging. Every Fracture comes with a Happiness Guarantee and Lifetime Warranty. Don’t trap your photos on your hard drive or in the cloud. With Fracture, its fun, easy, and affordable to decorate your home, dorm, or office with pictures of your favorite people, places, and memories. Prices start at just $15. Each giveaway has a value of a minimum of $15, however some are worth much more. Be sure to enter to win all of them because there is no limit to how many you can win. GOOD LUCK! fyi, the instagram link does not work in the rafflecopter form. The Instagram entry gives an error message.